Ghost recently performed a series of tracks from their new album, “Meliora”, on l'Album de la Semaine on French national TV channel Canal +. and a cover of Roky Erickson’s "If You Have Ghosts" from their 2013 Dave Grohl-produced EP of the same name. Ghost recently launched their third album with an unplugged tour of US record stores. 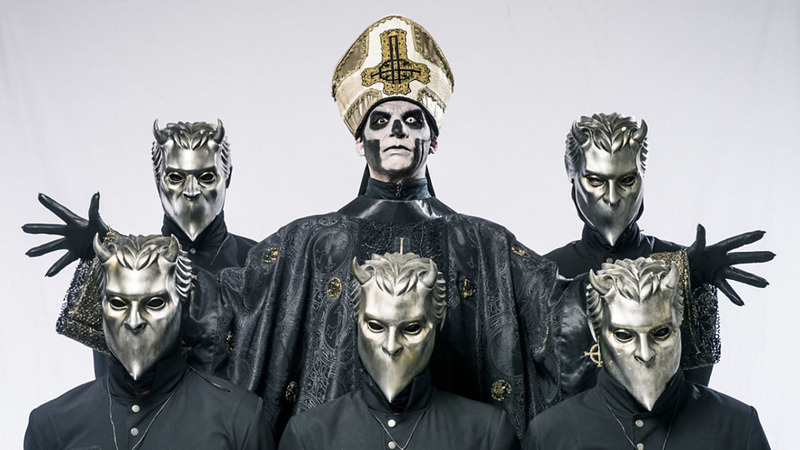 Produced by Klas Åhlund and mixed by Andy Wallace, "Meliora" sees the debut of vocalist Papa Emeritus III alongside the Nameless Ghouls. The group will launch the Black To The Future North American tour at The Fillmore in Washington, DC on September 22.